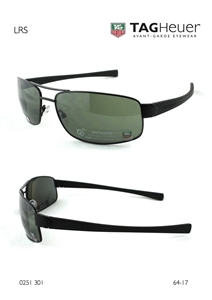 301 - Black frame and green outdoor lenses with back surface anti-reflection coating. The Tag Heuer TH0251 is a mens wraparound square aviator sunglass, part of the 'Urban LRS' range , and the 'Ayrton Senna' collection that is beautifully crafted and made of the finest materials. The Tag Heuer logo is etched into the left lens .Suitable for all face shapes. 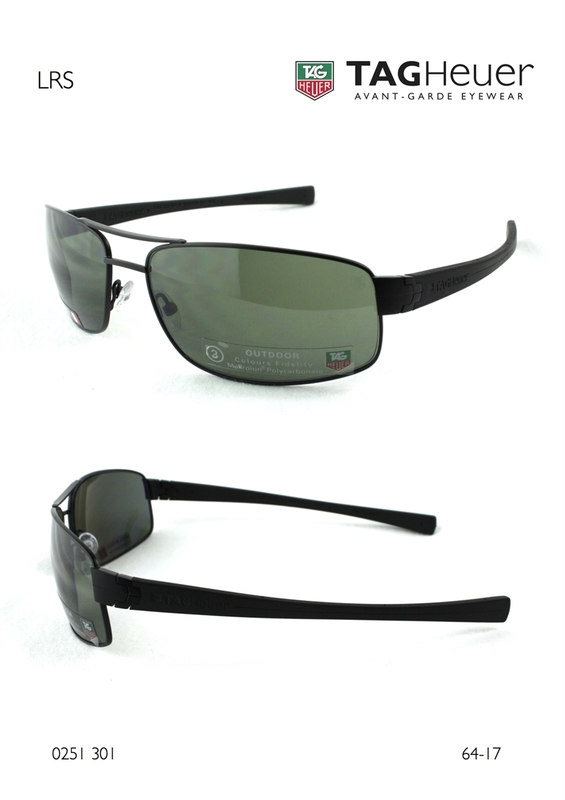 All Tag Heuer TH 0251 sunglasses come with their own branded case, cloth, gaurantee card and packaging, and are covered by the 12 month no quibble sendoptics guarantee.